Hi readers!How are u?Hope u all are in good shape! 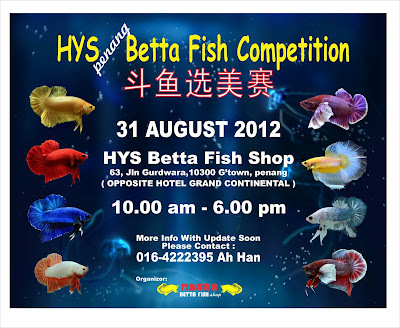 hehe... ok.. 9/1/2011,first Betta Sunday for his year was held in Uncle Wong place.This event was organised by Betta Society Malaysia every early month.Gor those who dont know what is Betta Society Malaysia is can click here. 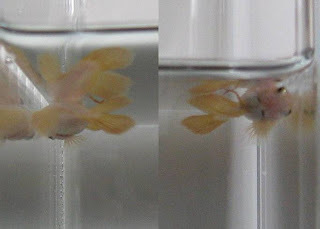 I bought a pair of black copper.The plan was to buy solid color,but sighh.. love the copper more! 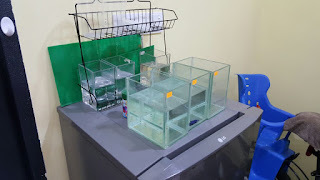 hehe..Thanks to brother Ai,for selling it for cheaper price.So many quality fish and top breeder were there...Will update u all with pic after this!Thank you for viewing,and stay tune with MekoBetta!